We can add pre-wrapped presents to this package as required. 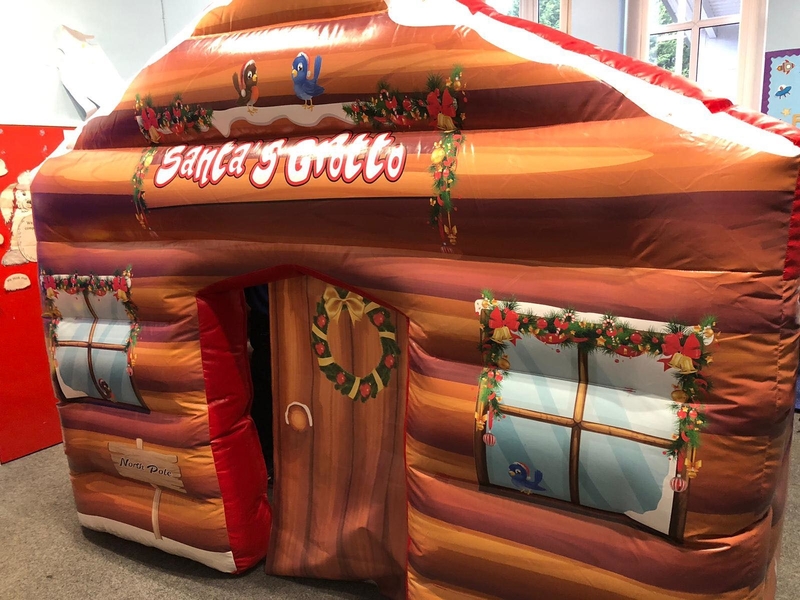 To cope with the demand for Christmas events in 2018, we've added this awesome brand new, inflatable Santa's grotto. This takes our range of inflatable Santa's grotto's to four for 2018 and beyond. The latest of the inflatable grotto's is amazing and features loads of digitally printed, flawless artwork of a festive nature. The front of the grotto shows a wooden log cabin with a snowy roof and the entrance sign 'Santa's Grotto' decorated with bells, holly and some cute birds! Also on the front of the grotto is two animation windows and a wooden like 'North Pole' sign atop a snowy floor. The external sides feature more Christmassy artwork including reindeer and the inside of the grotto has artwork on the internal walls including the back wall which shows a roaring fire with Christmas stockings, presents and a Christmas tree. Measuring in at 10ft wide by 12ft deep and approximately 8ft tall at it's tallest point. Inside the grotto there are also attached velcro loops on the side walls to allow for customers to set up string lights. 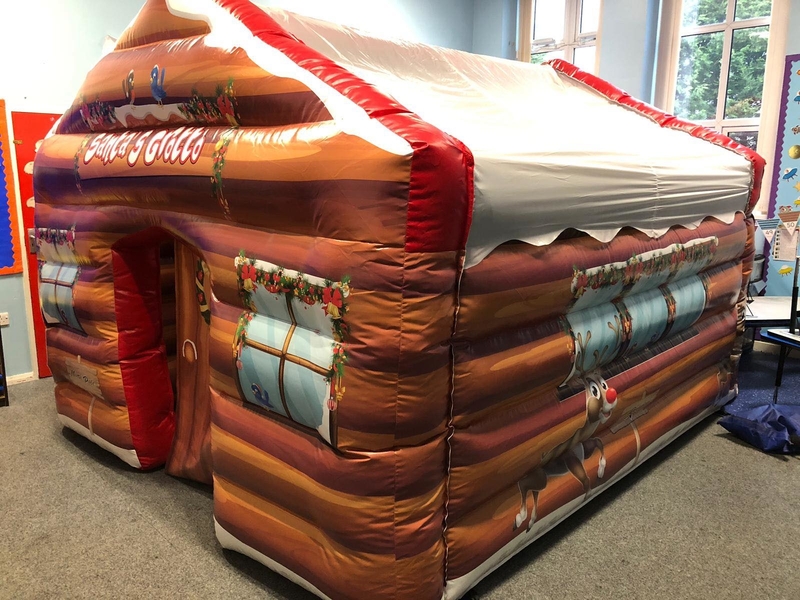 We provide just the inflatable grotto when customers book this product. We do this as this allows customers to decorate the inflatable grotto as they please i.e. previous customers with other grotto's have added a large chair or throne for Santa to sit on, maybe some fake presents, light up Christmas trees and other Christmas decorations. This inflatable Christmas grotto is available to hire now throughout our delivery area. Use our online postcode checker to see if we cover your delivery postcode.